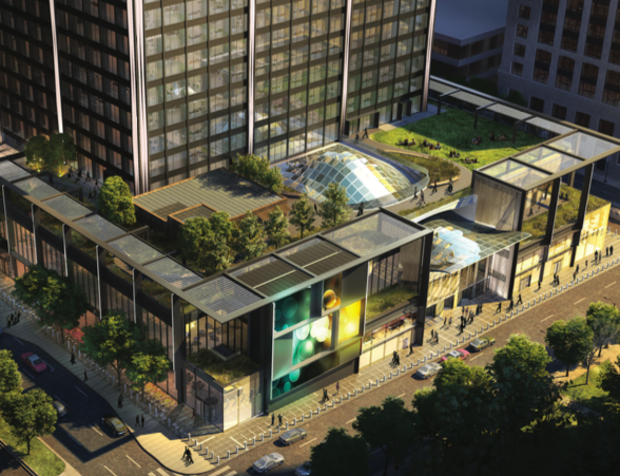 DOWNTOWN — Willis Tower has begun the foundation of its $500 million renovation: a new shopping center. 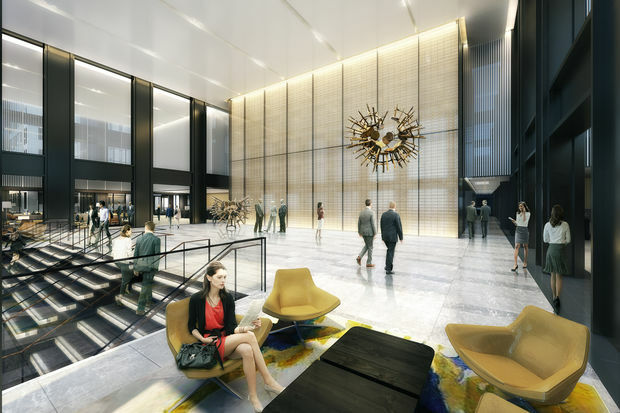 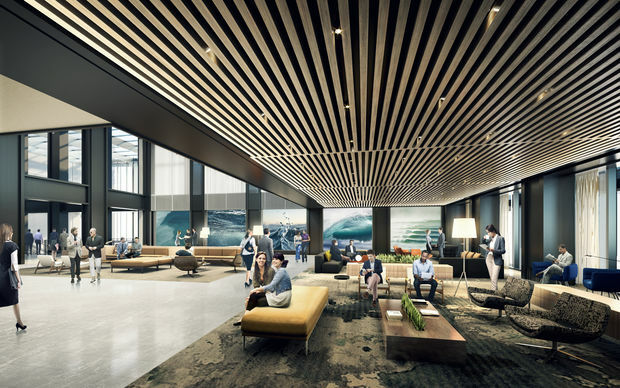 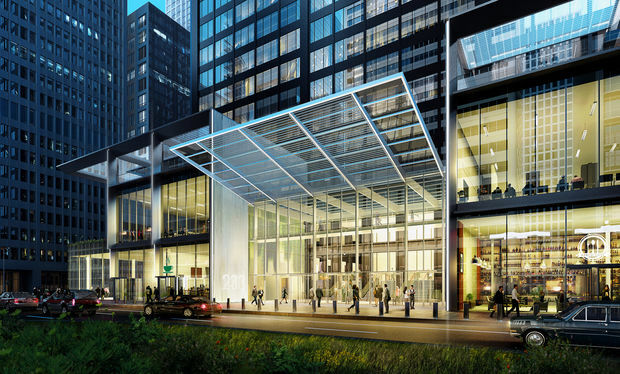 Work began this week on the mall opening at the base of the 110-story tower at 233 S. Wacker Drive, according to an email sent to tenants by the building's management. 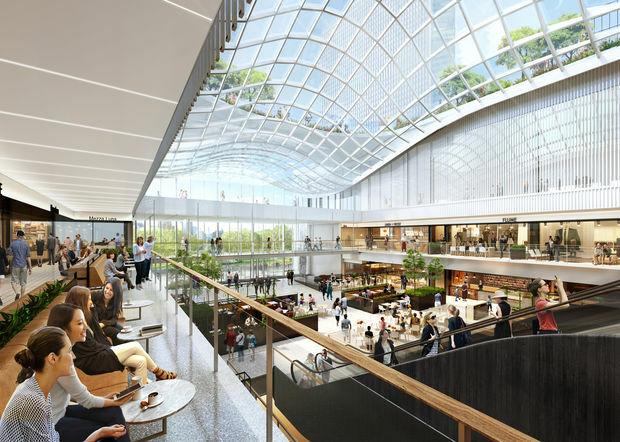 Once open in late 2019, the new six-story shopping center — three floors above ground and three under — will be centered around a new "winter garden" with a skylight. 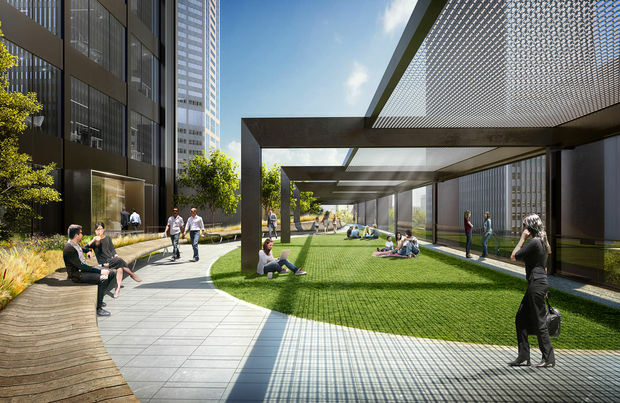 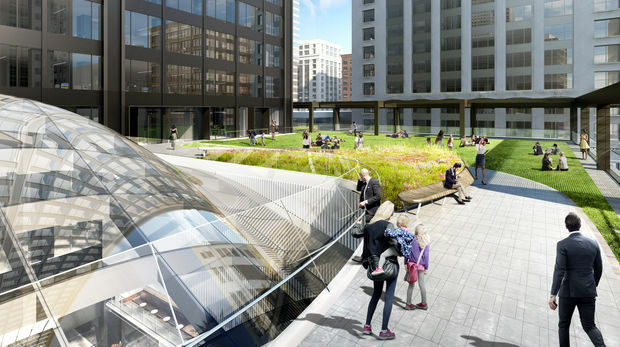 A skating rink could occupy the center's rooftop deck in the winter. 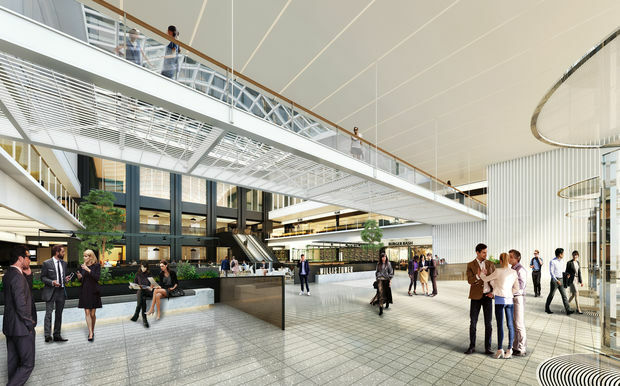 Shake Shack has signed on to open in the shopping center, and the building said earlier this year it is in talks with five-star restaurants, more casual restaurants, bars and a grab-and-go "fresh market." 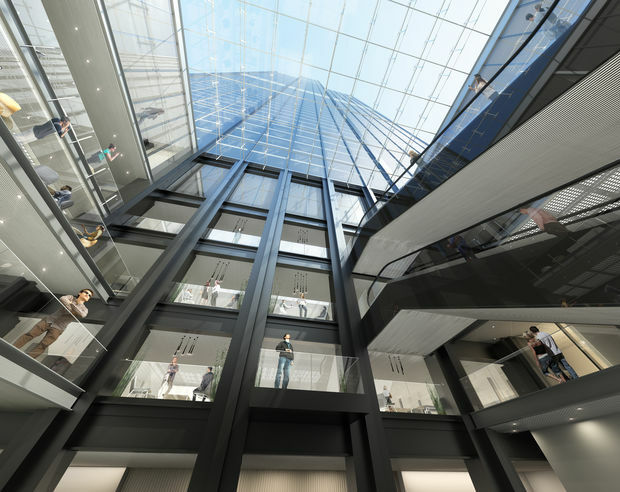 The construction is the most visible step yet toward the skyscraper's $500 million renovation including more retail and new attractions at its 103rd-floor Skydeck. 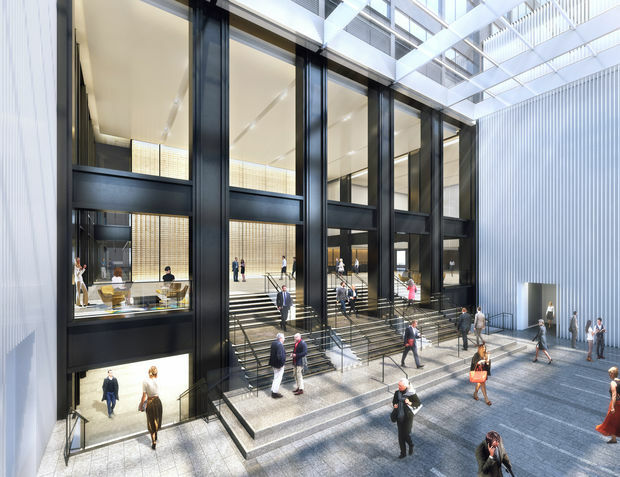 The tower blocked off its south plaza at Wacker Drive and Jackson Boulevard on Monday and is shutting down some lobby escalators, among other steps, to accommodate the construction.